There are over 50 of us here at Summit, but there’s one thing we all have in common: we love what we do. From our project managers and programmers to our technicians and engineers, we put our heart and soul into our work – and take pride in every job. thing we all have in common: we love what we do. Hello to one expert team. By putting all services and products for technology, electrical and renewables under one roof, we’re changing the face of the industry. We don’t subcontract bidding, design, installation or service work: instead, every job we take on is carried out by our professional team of in-house employees. With an unrivalled wealth of knowledge and a commitment to customer satisfaction that’s second-to-none, we’ve been in business for 50 years – and we’re in it for the long-run. My Father Richard Dashiell started as an electrician for a well know Electrical contractor in Santa Rosa in the early 60’s, he moved up quickly to the general manager of their Sonoma division. In 1968 he and my uncle Ed Garayalde realized that they wanted to have control of their own destiny and decided to start their own company. He and my uncle wanted to have a name that represented the company’s values. They decided upon Summit Electric, Inc. The dictionary defines “Sum-mit” as “the highest attainable level of achievement” This was their values and the direction they wanted to take their careers. So in 1968, Summit Electric Inc. was born – and over the years my father began to turn his vision into a reality. Having some of the best electricians around, word soon spread around the North Bay about Summit’s great service. Over the next 18 years, the business grew with his dedication and leadership. Sadly my father died in 1986, leaving behind a well-respected company – and putting me at the helm at the young age 22. It became my mission to show my deep gratitude to everything my father had done for my family, our customers, and our employees, by continuing his vision. So I put my head down and got to work. In 1990 we added the technology side of our business offering these additional services to our clients with the same level of quality. Also in the 90’s we added 24/7 service and Renewables to our offerings. 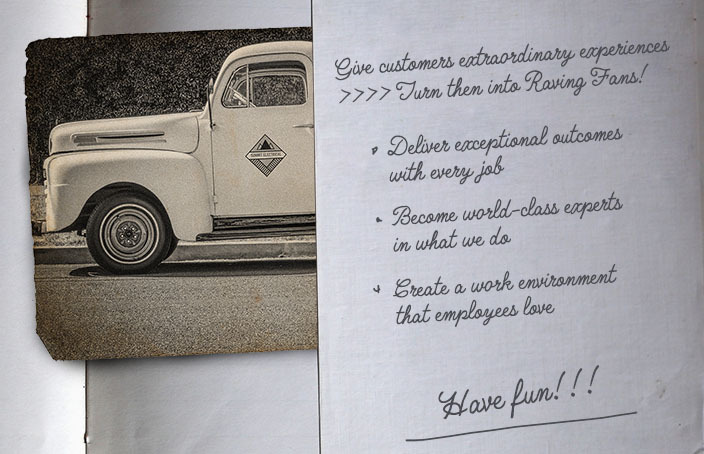 Today, as Summit Technology Group, with 50 years of experience behind us, we’re still delivering extraordinary customer experiences and exceptional outcomes. We’re definitely world-class experts. We certainly love what we do. And we always have fun. I think my father would be proud. Footnote: My father once told me that the secret to a successful business is that there’s no secret: just work hard, offer good value, and give customers the kind of service that turns them into “raving fans”. Thank you dad – you were absolutely right. Since we started 50 years ago, we’ve never looked back – literally. Keeping abreast of new processes, procedures and technologies is what keeps us moving forward. So if you’re wondering what the future has in store, ask someone at Summit. Be trustworthy, have respect, follow through on commitments. To be part of a team supportive of each other, as well as our client’s needs and wishes. To be responsible and own your actions. To show a gut level determination to accomplish and succeed, now! To be passionate about your job, taking pride in all you do.